Hello, your friendly neighborhood lip balm addict here. I’ve come to a very important conclusion lately about lip balms and I need to share it with you. Lately, I’ve been lamenting about how many of my natural lip balms start out great, and then turn into lumpy bumpy sticks that aren’t that pleasing to apply. (And I type lip BLAM every single time…why can’t I get it right?). I always thought that maybe it got too hot in my bag and the ingredients were revolting against each other or something but I think I figured out the real reason. Shea Butter? Every lip balm I have that contains shea butter seems to eventually turn into a bumpy lip balm. I don’t know if it ‘s the formulation or the ingredient itself or a lack of beeswax or if it’s even that at all, but it seem to be a common theme. If anyone can enlighten me, please do. Anyway, I came to this conclusion because I have a couple lip balms that seem to stay intact… smooth and lip balmy just like I like them. One of those lip balms are Badger’s Certified Organic Lip Balm. The main ingredients are Extra Virgin Olive Oil, Beeswax and Castor Oil (all organic) which seem to keep these in their smooth state so applying them is like a lip balm should be. They have a zillion yummy flavors, my favorites seem to be the citrus-y ones like Pink Grapefruit and Tangerine but they all perform. 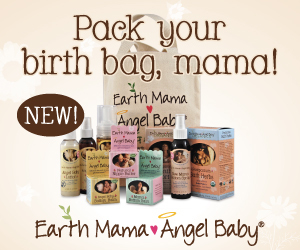 They use all Certified Organic ingredients when possible as well as fair trade cocoa butter. I just love the conscientiousness of this company and can’t stop singing their praises (as evident by my love for their sunscreen and anti-bug balm too). Get Your Balm On: You can purchase Badger Lip Balms in many places, but if you want to grab one (or 10) online you can find them on their website BadgerBalm.com and on Amazon.com! These are my absolute FAVORITE lip balms! and I’m also a junky Have you tried the Get Real balms at all? Excellent post, it’s very informative!i will try this lip balms..thanks! I only tried this lip balm by accident recently. A friend loaned me some…. now im never without it!